"In New Zealand, they had their hottest summer on record and January was their hottest month on record, so it was exceptionally warm on both sides of the Tasman." 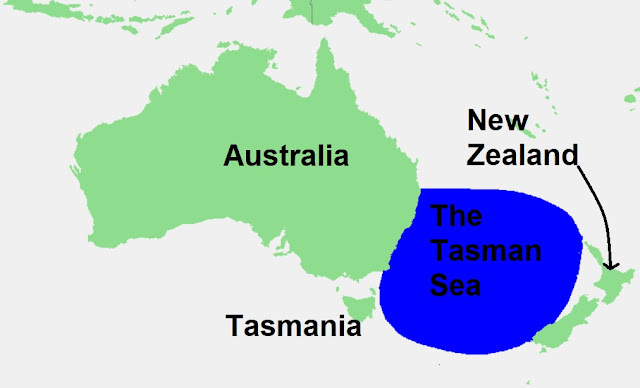 Dr Trewin said the water surface temperature in the southern Tasman Sea was also exceptionally high. "They were more than two degrees above average in December and part of January," he said. "And for the November to January period, they were easily the highest on record - 0.6 of a degree on any other year." Dr Trewin said the record temperatures were caused by a "very persistent" belt of high pressure from Tasmania to New Zealand in November last year that remained stationary for three weeks. "That allowed the ocean waters to heat up under very constant sunshine without being disturbed," he said. "Ocean waters take a long time to warm up or cool down, so they stayed persistently warm right through until the end of January before coming back a bit closer to average in February," Dr Trewin said. Tasmania's waters have experienced a number of marine heatwaves in recent years, taking its toll on abalone stocks and kelp forests. Acting Climate Council CEO Dr Martin Rice said the weather patterns were alarming. "For Australia to tackle climate change and curb current extreme weather trends, we need to quickly and deeply cut our greenhouse gas pollution by continuing our transition to clean, affordable and reliable renewable energy and storage technologies," he said. "Worsening climate change, driven by the burning of coal, oil and gas, is causing temperatures to rise at unprecedented rates and is making extreme weather events across Australia and elsewhere more intense, damaging and costly. "As 2018 gets underway, we've already seen the country hit with a series of extreme weather events, including tropical cyclones, severe heatwaves, intense rainfall and bushfires." The La Nina has ended and we are in a holding pattern waiting to see whether the next El Nino will kick in, when it does we will see the climate crisis on steroids.